The Washington Post is reporting that President Obama signed an executive order Monday that will create a formal system of indefinite detention for those held at the U.S. military prison at Guantánamo Bay, Cuba, who continue to pose a significant threat to national security. The administration also said that it will start new military-commission trials for detainees there. 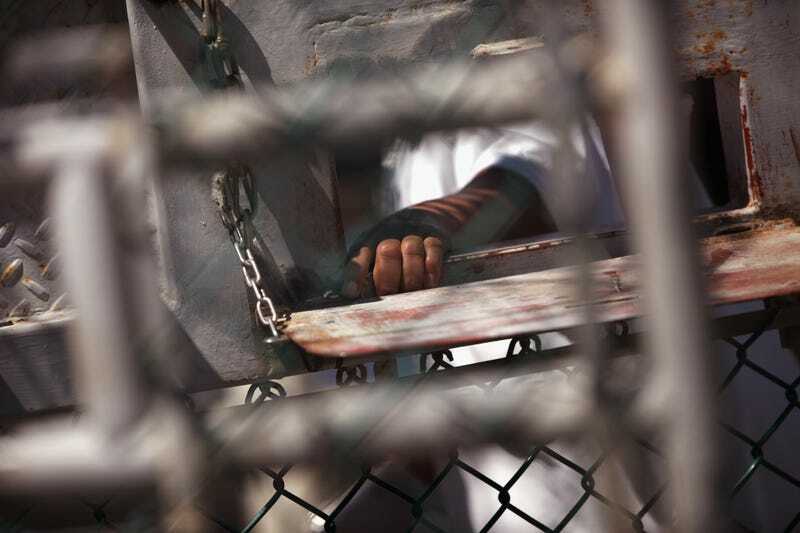 The announcements, coming more than two years after Obama vowed in another executive order to close the detention center, all but cements Guantánamo Bay's continuing role in U.S. counterterrorism policy. Administration officials say that the president is still committed to closing the center, even though he did not mention it on Monday. Bipartisan congressional opposition has contributed to the delay in closing the center, which could mean that detainees remain there for years, perhaps even for life. The new system allows them the prospect of successfully arguing in the future that they should be released because they do not pose a threat. Keeping detainees in jail "indefinitely" poses a major threat, sending a message that the human rights violations we challenge other countries over do not apply here. Perhaps the Obama administration thought that we would be paying too much attention to what's happening in Libya to notice what's happening here? How are we going to keep detainees "indefinitely" without a trial, even if the "conditions" are decent? The administration claims that the president is not going back on his word. Anytime Rep. Peter King is supporting an executive order by President Obama, it is a pretty clear signal that the president is doing exactly that. In other news: Mike Tyson Plucks PETA's Nerves Over Pigeon Show.